Remediating reading reversals can be a difficult task. Well, not anymore! 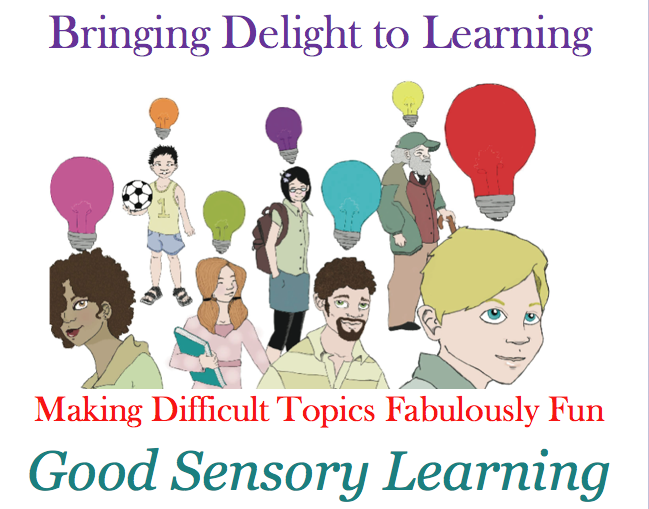 Dr. Erica Warren now has two multi-sensory workbooks that can make the process both simple and enjoyable. 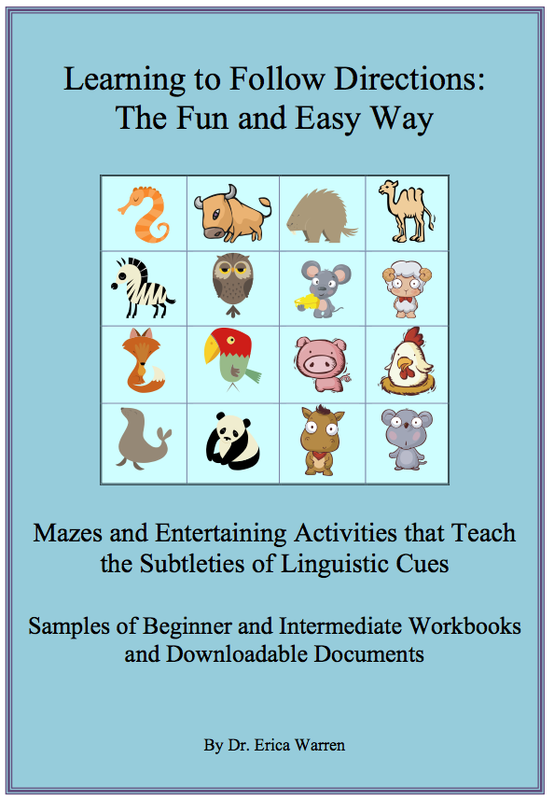 Her first workbook, Reversing Reversals, was so popular all over the globe that she has recently released more great activities in Reversing Reversals 2. 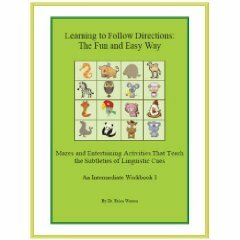 If you would like to see a free sampling of the workbook http://goodsensorylearning.com/reversing-reversals.html. 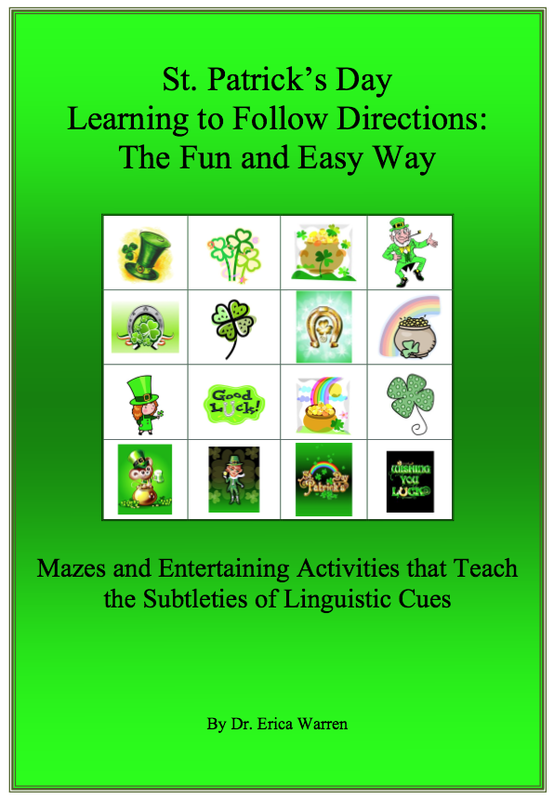 Whether it involves listening comprehension (auditory, receptive language) or understanding written directions (reading comprehension), there are a number of things teachers and parents can do to assist students with this process. What’s most important is to make the process fun. Whether you speak the instructions in person or on a tape recorder, you will be strengthening the ability to follow oral instructions. If you write the instructions down, then you will be assisting the ability to follow written instructions. One game that has been around for a long time is Simon Says. In this game directions can be presented orally or by writing on a large piece of paper or overhead. 1. Tell the players to line up in front of you so that they can see you. Instruct them that you are Simon and that you will be giving them directions to follow. If you say “Simon says” before you give the instructions, the players should do the action(s). If you do not say “Simon says” before you give the instructions, they should disregard the instructions. 3. Typically students are out of the game when they make a mistake. I recommend giving points or tokens to those that follow the directions perfectly so that the ones that makes mistakes can continue to play. The player with the most tokens at the end is the winner. Another game, that I call Follow My Words is a game that is best played with two players. One player is blindfolded and the other player gives directions. 1.The player that is blindfolded must follow the oral directions of the other player. You can do simple activities such as make a peanut butter and jelly sandwich or you can even rearrange the furniture and try to get the blindfolded player from point “A to point B.” Another option is to give the blindfolded player directions on how to trace a picture that they have not seen, or build something out of blocks. 2.It is very important to stress safety and that directions must be careful and well thought-out so that no one is hurt or misguided. Remember the one that is blindfolded is placing all their trust in you. 3.Each player should take turns as the one that is blindfolded and the one that is giving the instructions. A final suggestion that will help students work on following written directions is a treasure hunt. 1.You can play one-on-one or in groups. 2.Explain to the players that they will be given a clue. On the clue will be directions that they have to follow. The clue will lead to an object. On that object will be another clue that will lead to another object and so forth. 3.At the end you can have a prize or a note that tells them what they have won. 4.Directions can vary in difficulty level. 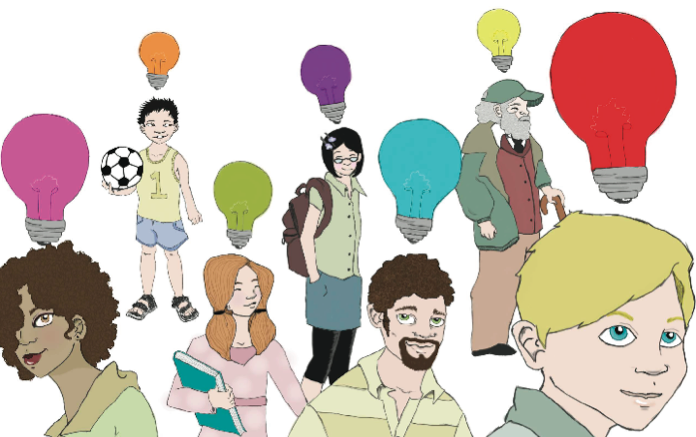 For instance, a clue could read I’m under the big red ball in the closet, or it could say, I’m in the Library in a book entitled “The Phantom Tollbooth.” Your next clue will be on page 7. You can even guide them to a key that will open a chest or a door. I hope you find these ideas helpful. 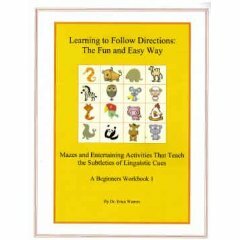 If you would prefer to use a workbook that is filled with activities to strengthen students abilities to follow directions, please check out my two publications: Learning to Follow Directions: The Fun and Easy Way at my website: www.goodsensorylearning.com I also offer a free download sampling of all these activities. https://godyslexia.com/wp-content/uploads/2011/02/416wAxdNZQL._SL500_AA240_.jpg 200 200 Erica Warren https://godyslexia.com/wp-content/uploads/2016/01/Go-Dyslexia-2-1-300x300.jpg Erica Warren2011-02-20 20:59:002016-01-02 16:39:28Following Directions: How Do I Teach this Skill?